Since the midterm elections, America’s CEO/Dictator, Donald Trump, seems to be more and more unhinged. 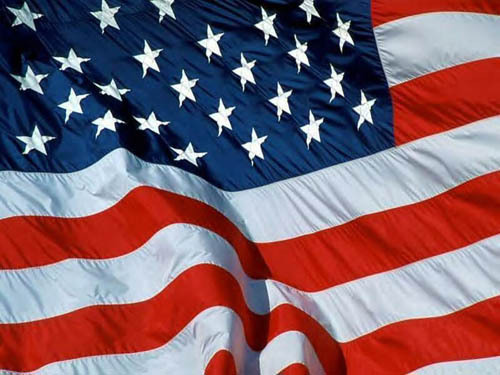 The recent incidents concerning Veteran’s Day memorials for soldiers and war veterans who gave their lives for their country illustrate how colossally inept, clueless and insensitive the orange haired man child is. First, Trump was roundly criticized for skipping out on a memorial service for World War I veterans in Europe because it was raining. Then he ducked out of a memorial service on Veteran’s Day at Arlington Memorial Cemetery because he basically didn’t feel like it. Of course, he blamed his subordinates for his mistake in typical, authoritarian, Trumpian fashion. His disrespect toward military figures exemplifies a disturbing pattern with Trump that points to his deep insecurity when compared to men who have actually sacrificed something for their country. During the 2016 election campaign, Don the Con famously criticized John McCain stating “he likes people who weren’t captured”. Last week, the unstable megalomaniac criticized retired Navy SEAL Adm. Bill McRaven, who commanded the 2011 raid that took down Osama bin Laden for not capturing the terrorist mastermind sooner. This from a man who got out of service in Vietnam because of bone spurs and probably couldn’t win a game of Stratego with his youngest son Barron. 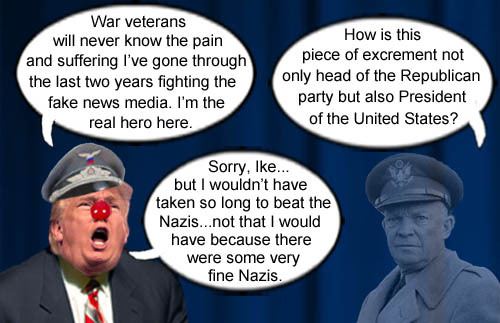 We have no doubt that Trump would probably find fault with former President, Commander of the D-Day forces and war hero Dwight D. Eisenhower, who we’re pretty sure would not be too fond of Trump. America’s CEO/Dictator, master strategist and most persecuted human being of all time, Donald Trump, whines that he’s a real hero and not war veterans who fought against the Nazis like Dwight D. Eisenhower.